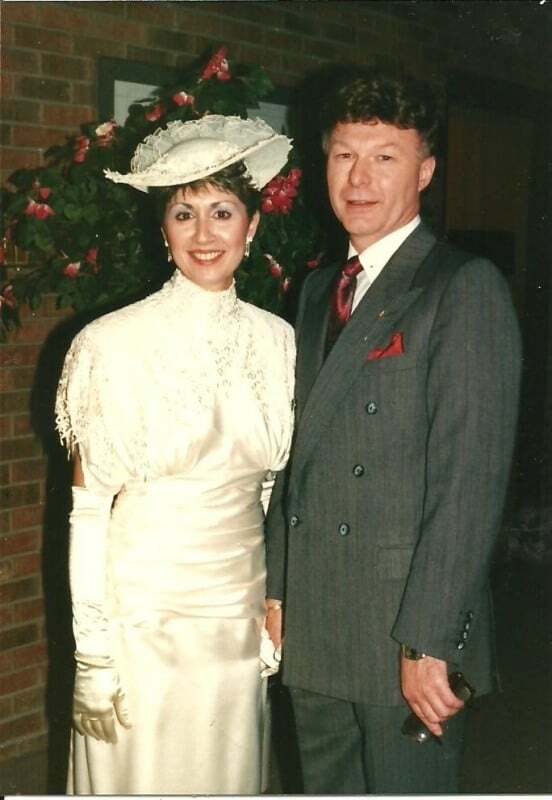 Yianni and I celebrated our 25th wedding anniversary on Thursday. We decided to celebrate our special evening with dinner and dancing at one of our favorite restaurants, The Clawson Steak House. This restaurant has been owned and managed by the Alexopoulos family for 50 years. Chefs John Alexopoulos and Jim Polk always have specials on the menu that include steak, prime rib, fresh fish, veal, pork, chicken and pasta. The Mark James band plays dance music Wednesday through Saturday and has done so for 40 years. This place is a gem. 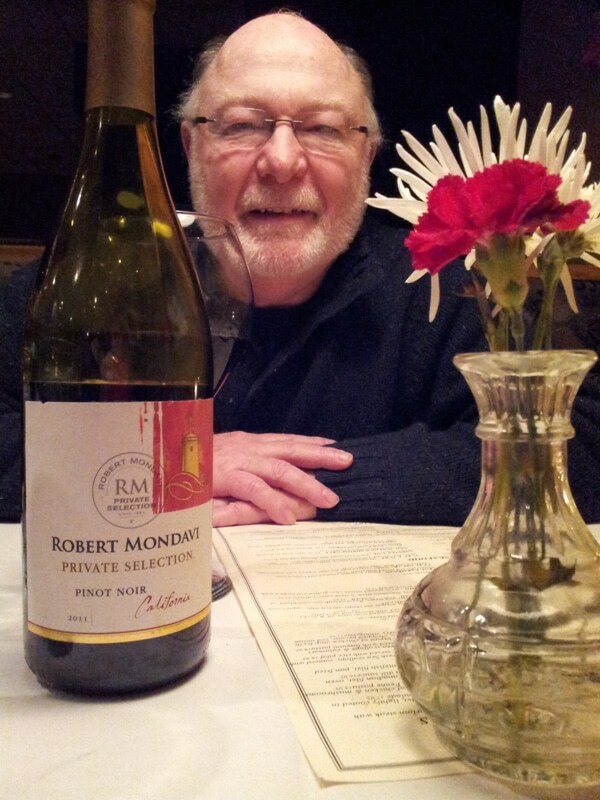 Here’s my date and a nice bottle of wine, Robert Mondavi’s 2011 Private Selection Pinot Noir 2011. 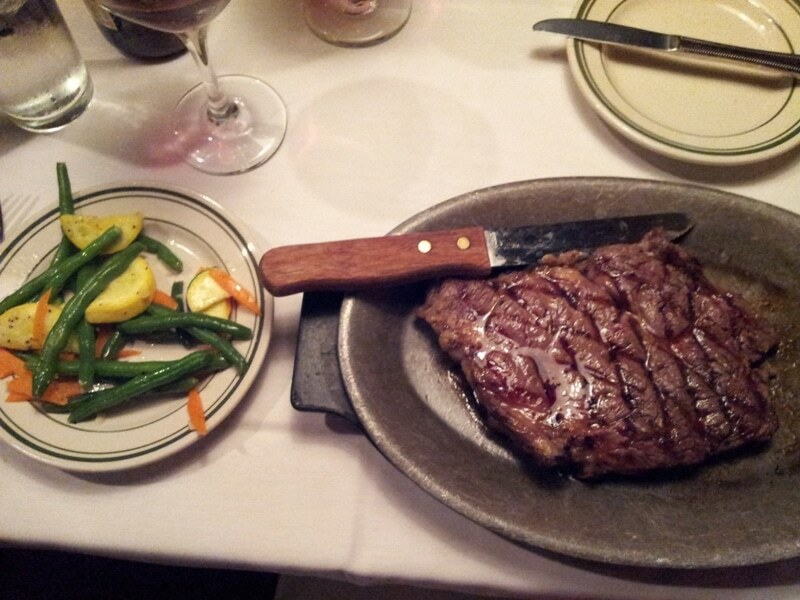 The thing to go for at The Clawson Steak House is steak! I had a 16 oz. Delmonico steak, served on a sizzle platter and finished table side with Au Jus and a side order of fresh sautéd vegetables. I later needed a “doggy bag”. 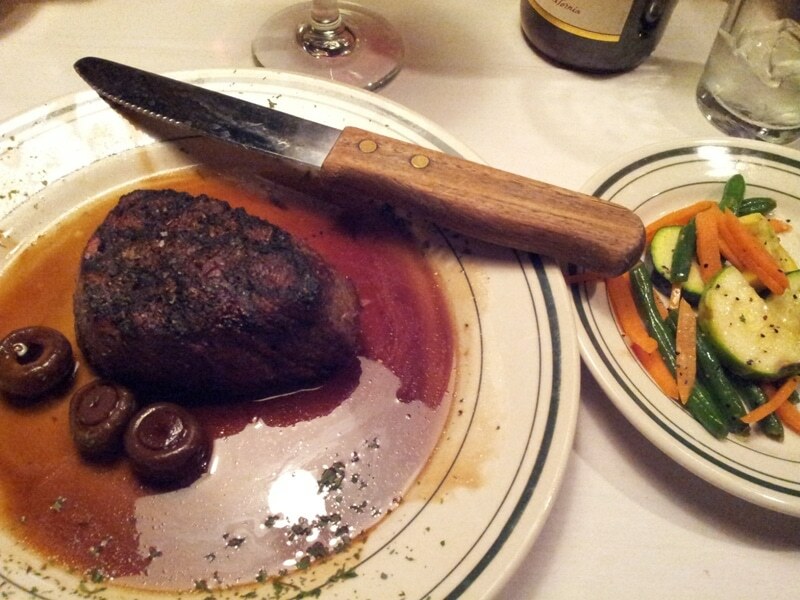 Yianni ordered the filet mignon served with Chef John’s mushroom sauce and a side order of fresh sautéd vegetables too. All of the Clawson Steak House dinners come with soup and salad. We finished our dinner with coffee and shared a piece of apple pie. We really enjoyed ourselves. Yianni and I highly recommend this restaurant. Definitely 2 thumbs up! Clawson Steak House is located at 56 Rochester Road in Clawson Michigan. Hronia Pola! 25 years is an awesome milestone! But just the beginning. Joe and I just spent time with his folks for their 50th wedding anniversary. Ti fun! Ekaristo poli kai xronia polla stou simbethera sas!